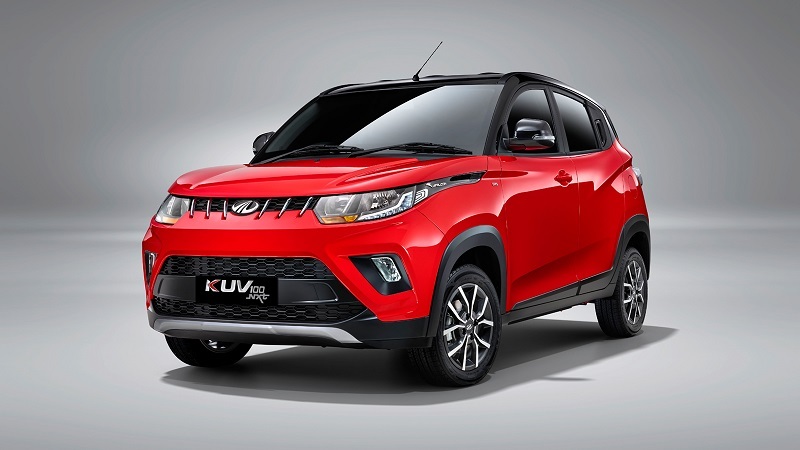 Home grown car maker Mahindra & Mahindra has launched the facelift version of its micro-SUV KUV100 in Indian car market with the starting price of Rs. 4.39 lakh (ex-showroom price, New Delhi). The facelift KUV100 is christened as KUV100NXT and offered in both petrol and diesel variants and in five trims namely K2,K2+,K4,K6 and K8. The prices announced for different trims will be applicable for three months, after which company is speculating to revise the price strategy. It is reported that company will launch the AMT variants of this facelift KUV100 NXT sometimes during the next year. Under the hood petrol variant is empowered with 1.2 litre 3 cylinder mFlacon G80 engine that is capable of boosting the power of 82 bhp and torque of 115Nm, whereas the diesel variant on the other side is energized with 1.2 litre 3 cylinder CRDi m Flacon D75 engine that generates the power of 77 bhp and torque of 190 Nm. The transmission duties in both the engine configurations are performed by five speed manual gear transmission system. The KUV100 NXT will compete against Maruti Suzuki Ignis, Ford Figo and Hyundai Grand i10. 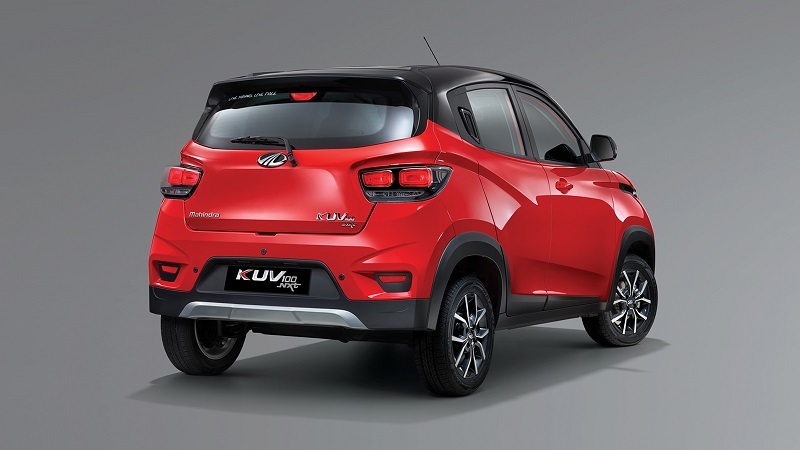 Talking about the additional features offered in the facelift version of KUV100 on the exterior front include newly developed front grille and bumper. Upgraded headlamps, 15-inch alloy wheels garnished with black and chrome coatings. On the rear front it sports new tail lamp cluster with chrome bezel. 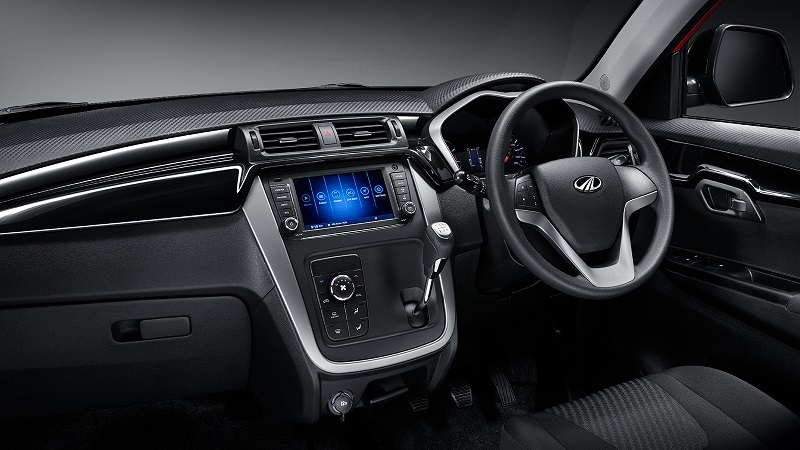 Inside the cabin it adorns user friendly instrument cluster with DIS and gearshift indicator, seven inch touchscreen infotainment system that support connectivity with audio and navigation system. The interior of top end variants are offered with black interior while the base and mid-sized variants are offered with grey interiors.